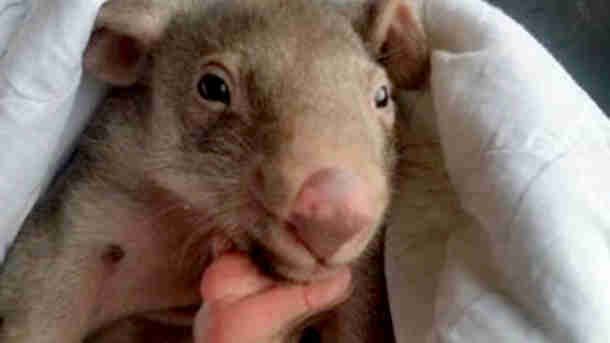 While out and about with her baby, a mother wombat in Australia was kicked in the head by a passing horse and severely injured. She managed to make her way back to her burrow, but couldn't go in because of all the mud that had gathered from frequent rainstorms. She was too weak to climb through the mud - and so she gave up. Rescuers from Wildlife Rescue South Coast, partners of International Fund for Animal Welfare, heard about the injured wombat and came to help her. Soon enough, they discovered the tiny baby, covered in mud and cowering in her mom's pouch. Unfortunately, the injured mother didn't survive, but rescuers were still determined to help her child. She weighed only three pounds when they found her. 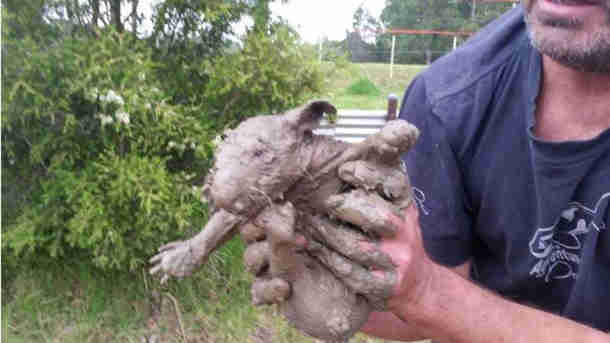 They named the baby wombat Mudsey, and were continually amazed that she had survived the ordeal. Slowly but surely, little Mudsey began to heal. Mudsey made new friends while she was recovering at the rescue, who helped her cope with the loss of her mom. She was always very happy and playful, and never seemed affected by what she'd been through as a baby. After 18 months of rehabilitation, Mudsey was looking better than ever - and was finally ready to be released back into the wild. 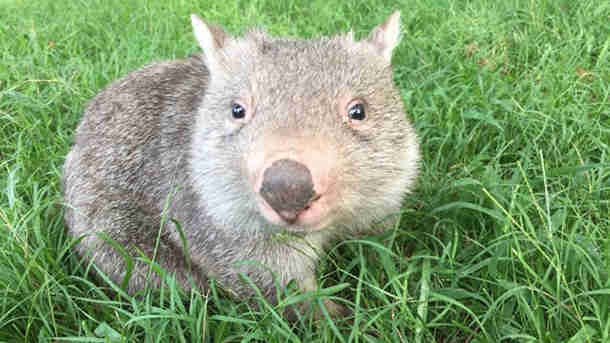 Mudsey was rehomed onto a property where other rescued wombats have been reintroduced in the past, where she can slowly adjust back to life in the wild. Her rescuers have seen her roaming around since her release, and she seems happier than ever.